Life isn’t about waiting for the storms to pass. 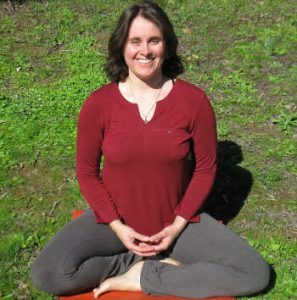 Having grown up with a mother who was a Hatha yoga teacher, I have been practicing yoga for most of my life. Sharing and teaching Dru Yoga is my life’s passion. Yoga has helped me through many difficult times in my life. Completing my Dru Yoga teacher training in 2014 has enabled me to share with you, the skills that we all need to help us live a calm, healthy and peaceful life. My classes are aimed to be inclusive and fun, enabling people of all levels of health and fitness to gain the benefits of practicing Dru Yoga.